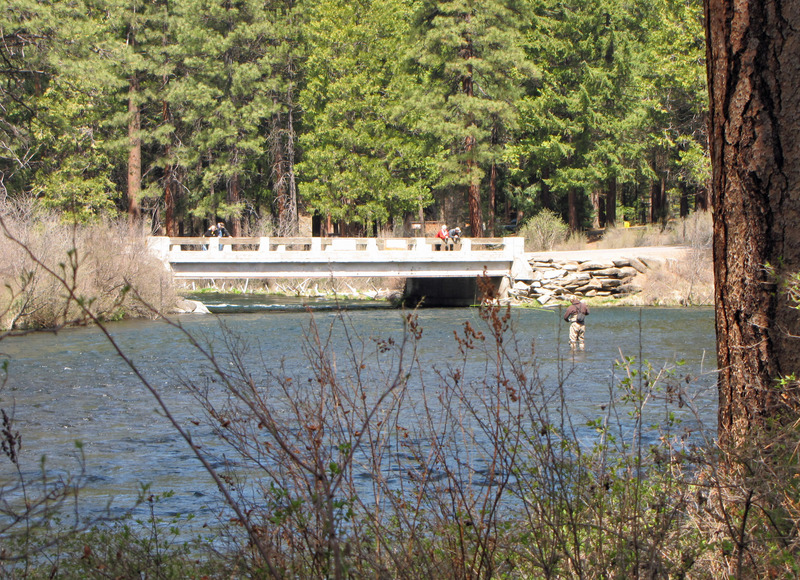 Metolius River Hike – Lower Bridge Loop Trail, 6 mi. We’ve hiked to Wizard Falls from the Oregon State Fish Hatchery probably half a dozen times without realizing we could walk along the Metolius in the other direction and experience just as nice, if not better hiking. 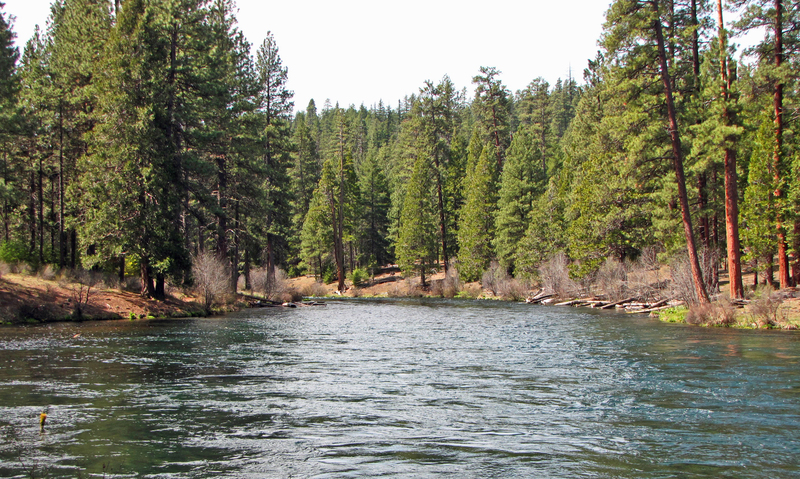 The nice thing about this hike is that it’s circular so you get to enjoy both sides of the river on a six-mile hike. Wizard Falls is located just west of Sisters (see map) in the Deschutes National Forest. To get there you’ll pass by the Head of the Metolius which, although it isn’t much of a hike, it is an interesting place to stop and usually a good place to capture some photos. Dogs need to be on a leash for this side trip though, so be warned. And, although I don’t know of anyone who has ever had a problem with it, there are signs posted warning of car break-ins in the parking lot, so keep your valuables with you. Also, be aware that the chipmunks and ground squirrels love this little trail and they will be begging for food along the way – dogs can be difficult to restrain unless they’ve learned some manners beforehand. Back on Road 14 and you’re headed towards Camp Sherman which is a great place to stop for a light lunch or a quick refreshment at the general store if you’re inclined for such a thing. Following the signs to Wizard Falls Fish Hatchery you can either park in the open area before the bridge or cross over the bridge and park under the many tall pines at the fish hatchery’s parking lot. Then catch the trail heading north just behind the rest rooms (which are very clean and modern), or cross back over the bridge and catch the trail on the opposite side, keeping to the right if you want to stay out of the way of fly-fisher folk, but the trails will wind into and out of each other for the continuous six miles of your journey. What you’ll see: not too many people, a few fellow hiking dogs, loads of deer, birds and waterfowl and plenty of fly-fishermen. 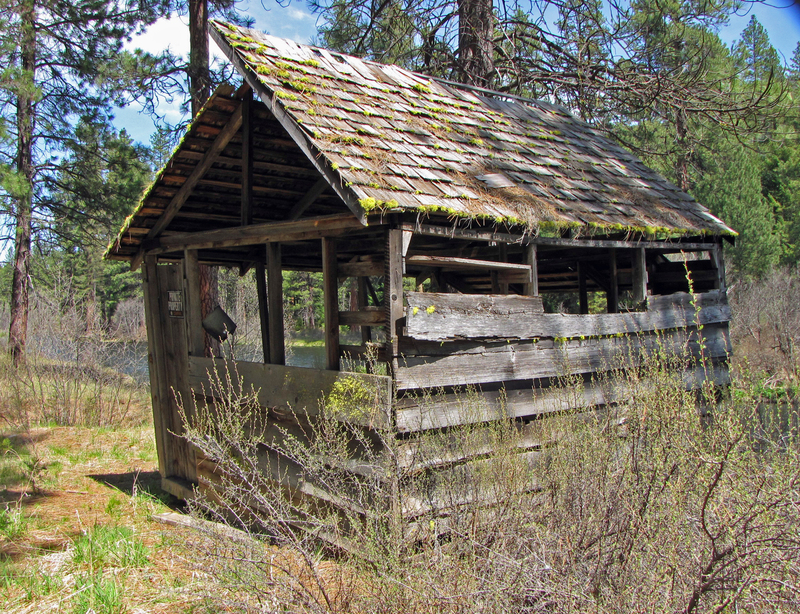 You will also pass by an old abandoned cabin (good for photographers), over a bridge, and through two campgrounds. There is also one area of private property with several houses along the river that the trail skirts around, but it’s not really an inconvenience. Plenty of tall pines and incense cedar to keep you in the shade and entertained. Pack a picnic for this one folks, because the best part is enjoying a nice lunch after a long hike – there are picnic tables scattered about for just this purpose. If you’re not in a rush be sure to take a nice leisurely stroll through the fish tanks. Depending on the time of year that you visit, there can be quite a few fish feeding at any given time and that is always a thrilling sight. Loads of fun for kids and dogs on leashes don’t mind either.